Typhon Blue (Genderratic) rejoins us in this week’s webcomic and comic news and discussion. On the dockat this week: Wikipedia Nears “Completion”? Superman Quits Newspapers? Adult Content/Ads Now Allowed on Project Wonderful, NYCC To Beat Out SDCC? ; and more! Plus a special zombie-themed music video playlist! Readers returning to Comics Shops? Special thanks to Twin City Comics for the comics! Also be sure to catch the Barack the Barbarian #1 comic book review as well! 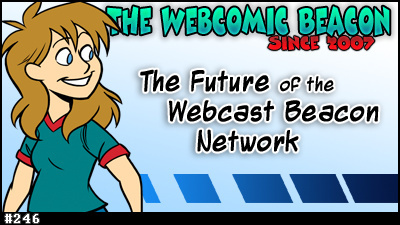 Ben Carver (Animation Aficionados) and John Lotshaw (Accidental Centaurs) join us in this week’s webcomic and comic news discussion. 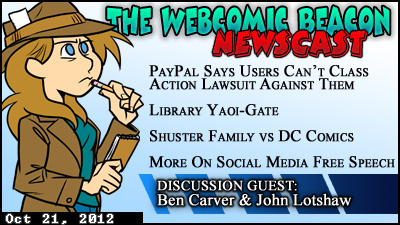 We mostly talk about Paypal saying it’s users can no longer use Class Action Lawsuits against them, a library not flagging for 18+ material for minors, social media and free speech; and more! Thom Revor heads the show this week; and thanks to all of our news team: Thom Revor, Dean Esmay, Marie Tary, Jason Strawsburg, and Eric Kimball. 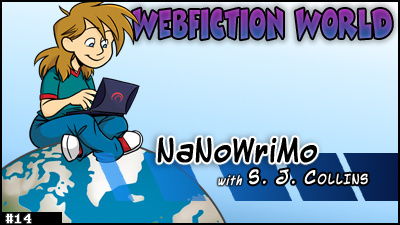 S. J. Colins joins Webfiction World to talk with A.M. Harte and Greg X. Graves. This episode we talk about NaNoWriMo! 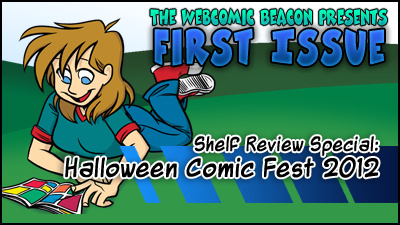 Ben Carver (Animation Aficionados) makes an appearance and John Lotshaw (Accidental Centaurs) joins us in this week’s webcomic and comic news discussion. We mostly talk about Comixology opening up to self-publishers, and much about Reddit and free speech vs decency online, a webcomic “think tank”; and more! Thom Revor heads the show this week; and thanks to all of our news team: Thom Revor, Dean Esmay, Marie Tary, Jason Strawsburg, and Eric Kimball. 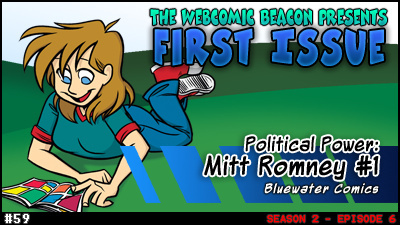 Farewell to Alex Heberling, who is stepping down from The Webcomic Beacon Newscast. Thanks your for your years of service! 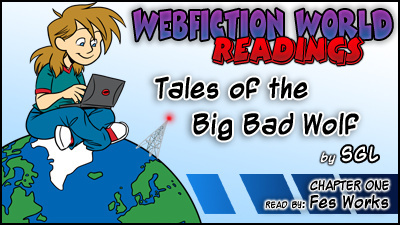 Fes Works reads chapter 1 of SGL’s Tales of the Big Bad Wolf (Red Riding Hood Arc) for Webfiction World. Typhon Blue (GendErratic) joins us in this week’s webcomic and comic news discussion. We mostly talk about “Dreed doing women right”? ; Membership, Paywalls, and Ads; Homestuck and how to be a success by accident; and more! Dean Esmay heads the show this week; and thanks to all of our news team: Thom Revor, Dean Esmay, Marie Tary, Alex Heberling, Jason Strawsburg, and Eric Kimball. Additionally: PBS’s Idea Channel: Is Homestuck the Ulysses of the Internet?